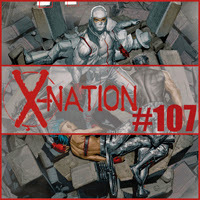 Wolverine may dead, but there's plenty of aftermath for Antony and Paul to discuss in the Month in X for November 2014. Plus, more Axis! Axis! Axis! Can we get an "Alright, alright, alright"? Month in X - November 2014 - The Logan Legacy #4, The Logan Legacy #5, The Weapon X Program #1, The Weapon X Program #2, X-Force #12, Storm #5, Cyclops #7, Nightcrawler #8, Magneto #12, All New X-Factor #16, Wolverine and the X-Men #12, Amazing X-Men #13, X-Men #21, and Uncanny X-Men #28.